Oscar de la Renta: His Legendary World of Style by Andre Leon Talley is a companion piece to The Savannah College of Art and Design (SCAD) exhibition (February 5 - May 3 of this year), the first posthumous retrospective of the designer. 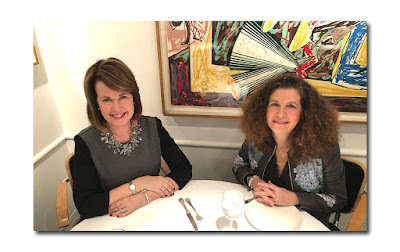 The book consists of a foreward by Anna Wintour, and prefaces by President and Founder of SCAD Paula Wallace, Mercedes Bass as well as Huma Abedin. Hillary Clinton's long time political aide describes the stress free process through which Oscar designed her dream wedding dress (the stress must have came later when she realized she got the nightmare of "peter-tweeting" husbands)! 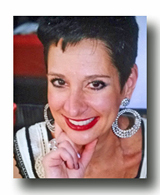 The main section is an account by Talley, the curator of the exhibition while the last section features a look at the dresses that were on display. 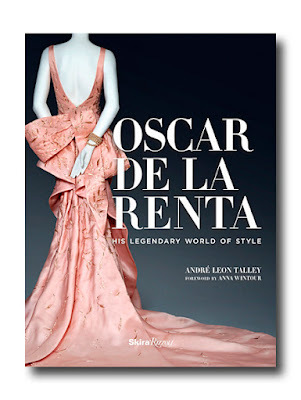 As we all know De la Renta designed for some pretty special women including First Ladies, movie and television stars, socialites, and singers; looking through these pages is like being transported back to a time in history both older and more recent. What all of these women had in common is that in an Oscar de la Renta dress they felt "confident, beautiful and comfortable." There are nearly seventy dresses included here with 100 color and black-and-white illustrations making this an impressive gift or coffee table book. ODLR's trademark flourishes include flamenco dancer inspired ruffles, (he himself was a great dancer and singer), bows, exquisite often colorful embroidery, simple yet flattering silhouettes and of course, luxe fabrics, all of which he would combine to produce his unmistakable couture garments. Talley describes how he was befriended by Oscar and his first wife Francoise at a time when he was young, "tall and skinny then, very elegant" if he does say so himself. 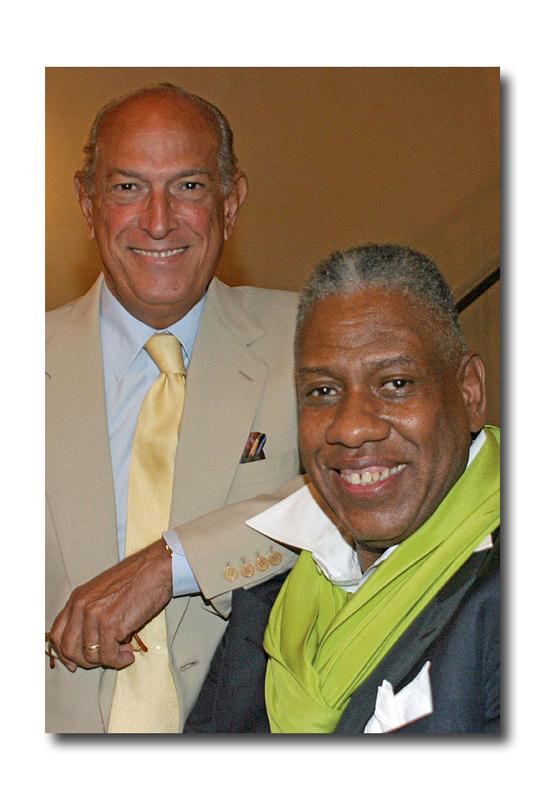 It is clear that Talley was not only a close friend to the de la Renta's, he became something of an honorary family member. Talley details the friendship which began through an introduction by Diana Vreeland and continued throughout the designer's life. Apparently Francoise was quite amused by Talley's first job as chronicler of nightlife for Women's Wear Daily and used to call him each morning for the recounting of his adventures, as soon as he reached his desk. If he were to mention that he had dined with Halston or another "rival" he would sense her disapproval, he writes. The De la Rentas' invited Talley to their house to dine with their "glamorous European friends," and were "concerned with my welfare, including my battles with weight." Oscar also "cared if I seemed lonely so I spent many a wonderful, intimate evening with him and (2nd wife) Annette at their home in New York or in Kent, Connecticut at their Brook Hill Farm" he writes. Of course it was also a working relationship and Talley would often consult with De la Renta for his inspiration as well as his shows. 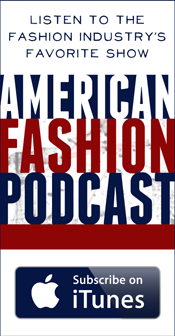 He mentions a particular outing to the Smithsonian to view an exhibition of kaftans from the Ottoman Empire which became an inspiration for a dinner ensemble for Mercedes Bass. Perhaps one of the most interesting parts of Talley's narrative is when he gives a glimpse into the wedding dress preparations as well as an insider scoop on the day itself for several brides including Anna Wintour's daughter-in-law Elizabeth Cordry in June 2014, sadly to be one of his last such celebrations. 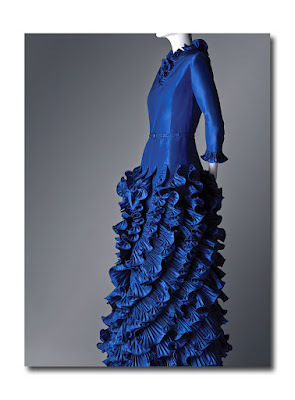 Throughout the 20 pages of Talley's narration of the book, he discusses some of the most important and high profile dresses in Oscar's career including his oldest exhibited creation circa 1962 which was an LBD for C.Z, Guest; the Marie Antoinette dress for Kristen Dunst's 2006 movie character; Laura Bush's iconic blue 2008 state dinner dress as well as the haute couture Balmain wedding gown he created for his step-daughter Eliza Reed,(who now runs the company with her husband Alexander Bolen). 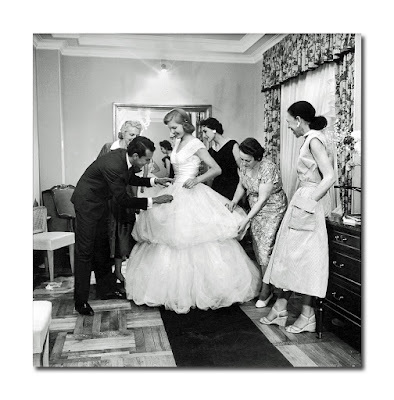 He got his first big break in 1956 by designing a debutante dress which appeared in LIFE magazine for Beatrice Lodge, daughter of John Davis Lodge, ambassador to Spain. He went on to a job at Balenciaga, and later in Paris at Lanvin in the early '60s, and eventually came to the U.S., designing at Elizabeth Arden, then partnering with Jane Derby and eventually starting his own couture line in 1965 after Derby's death. In 1993 he became the first Dominican to design the haute couture collection for Balmain (he stepped down in 2002) and in 2006 launched his bridal wear line. Perhaps the most important thing I learned about Mr. De la Renta is that he was a great philanthropist and loved flamenco dancing, music, gardening and playing dominoes in his kitchen "with half the populace of the Dominican Republic" after everyone had gone to bed according to Ms. Wintour. Several examples of his philanthropy are cited by each of the book's contributors. Wintour, a well-known tennis buff, writes fittingly of the Oscar de la Renta Tennis Center near his house in Punta Cana. She describes how touching it was "to see all the ball boys dressed up for the occasion" having driven many hours to attend Oscar's memorial mass. "But they were determined to pay tribute to the man who had helped so many of them financially especially with their education" she writes adding that she thinks of the clothes he designed as "genius plus love." 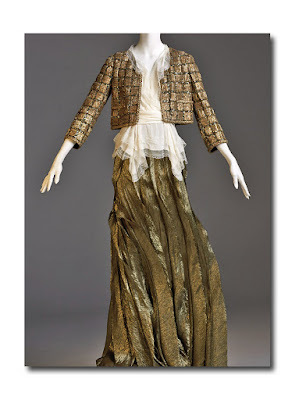 In her section Wallace recounts a story of how Oscar "donated bolts and bolts of exquisite fabrics for SCAD students to use, fabrics that he had commissioned for his couture designs--a priceless gift." In addition, the designer awarded many prestigious internships for SCAD students, one of whom made a video of her work for the exhibition. Talley recounts how De la Renta was responsible for "personally supporting an entire orphanage in the Dominican Republic" from which he adopted his son Moises. The book almost becomes a hagiography as not a single even slightly provocative word is written about De la Renta, either as a designer or as a human being. That is fine however, as I don't think that this particular book, seeing as how it focuses on the exhibition more than anything else, would be the place for a more honest tell-all. As I mentioned this is the first posthumous exhibition of his work, however there is an earlier book "Oscar de la Renta: The Style, Inspiration & Life of Oscar de la Renta" published by Assouline in 2002, (also with a forward by Anna Wintour) which would appear to cover much of the same ground as this one however I have not read it. I believe that is why this look focuses a bit more on the last 12 years giving it some fresh material. One other difference: the older book is $125 while this one is a bargain at $50. 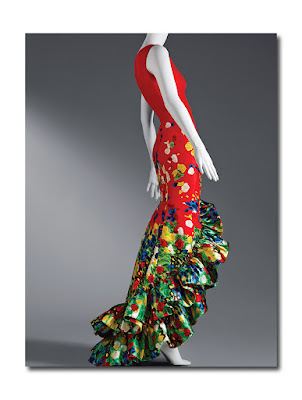 As far as the impact that De la Renta has had on the fashion industry, he would definitely make the short list of the top 10 designers of the 20th century. His legacy is still being felt as Bill Cunningham included a homage to Oscar in this weeks' The New York Times "Sunday Styles" featuring his distinctive and immediately recognizable flair for floral embroidered dresses worn by Jamie Gregory and others. I would love to go to the September 23 book launch party (in stores this Tuesday, 9/15, also the day of his fashion show) at Rizzoli Bookstore (1133 Broadway at 5:30 p.m. and open to the public), however they seem to have forgotten that this is New York and there are many who observe Yom Kippur and are therefore unable to attend. For more info go to rizzoliusa.com .